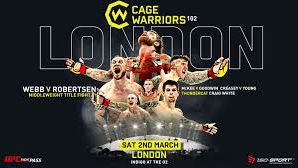 So far in 2019 Cage Warriors have hit the ground running, they have had 3 events so far. One in Liverpool, London and Copenhagen. The promotion a promotion have crowned 3 new champions in there first quarter of the year, two of which are interim champions. Asides from the main show, numerous academy shows have been put on across Europe. 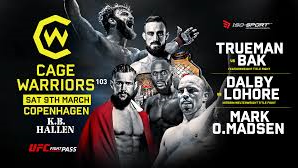 The second quarter of the year will mark the promotion’s next event, Cage Warriors 104 which takes place in Wales on April 27th. Let’s take a look at the all the finishes for the promotion so far. Kicking it off with Cage Warriors 101 back in February. 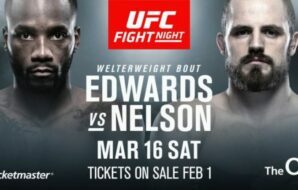 This card didn’t see a finish until one fight prior to the co-main event and it looked as if this one might go to the judges scorecards until Manuel Bilic got the submission victory. Not long after that fight Tim Barnett returned to the win column with a huge TKO of Adam Ventre. The main event of the night unfortunately did not go to plan and an injury sustained to Sofiane Boukichou brought the event to a close. Hopefully Boukichou recovers well and a rematch is put on. Onwards to Cage Warriors 102, where there was a total of 7 finishes on the night. It was an exciting night for the fans and James Hendin kicked it all of with a huge punch. The prelim card was a treat as 3 more bouts didn’t even make it past two rounds. The main card ended with 3 fights in a row not going the distance. Rhys McKee was the first of the lot to get things kicked off. 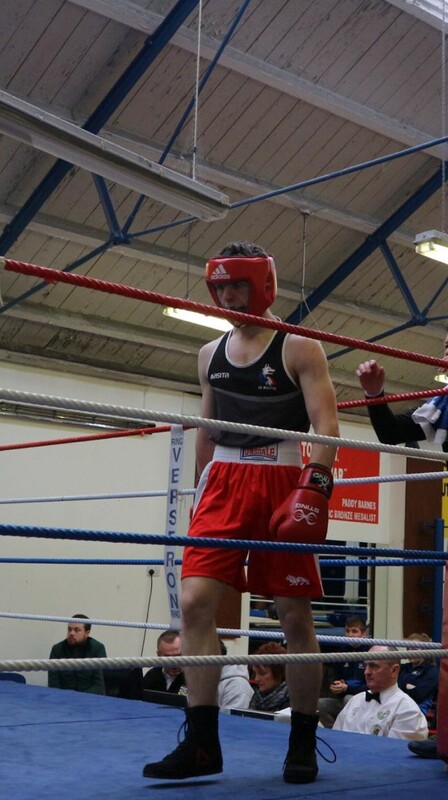 The Northern Ireland fighter and his opponent, Perry Goodwin put on an incredible fight. McKee was the one to come out on top though, he sunk in a guillotine choke to get the win and potentially put his name into title contention. Not long after that Jai Herbet unloaded on his opponent to get a huge KO/TKO victory over Steve O’Keefe. Finally in the main event of the evening, James Webb took home gold when he submitted Thomas Robertson in the third round. The crowd erupted as the hometown fighter became champion. Andreas Gustafsson Berg kicked off the outstanding submissions on the night with a beautiful keylock. Danny Mathiasen followed up this impressive finish with one of his own as the hometown fighter remained undefeated after an incredible comeback against Manolo Zecchini. Mads Burnell kicked off the main card in style with his exceptionally quick submission of Ahmed Vila to mark his second fight since departing the UFC. To round off the night Nicolas Dalby reclaimed the welterweight strap when he defeated Alex Lohore in a dominant performance in front of the home crowd.